For our Summer vacation this year, we flew to San Francisco, via Dubai, on an airline we both love – Emirates. 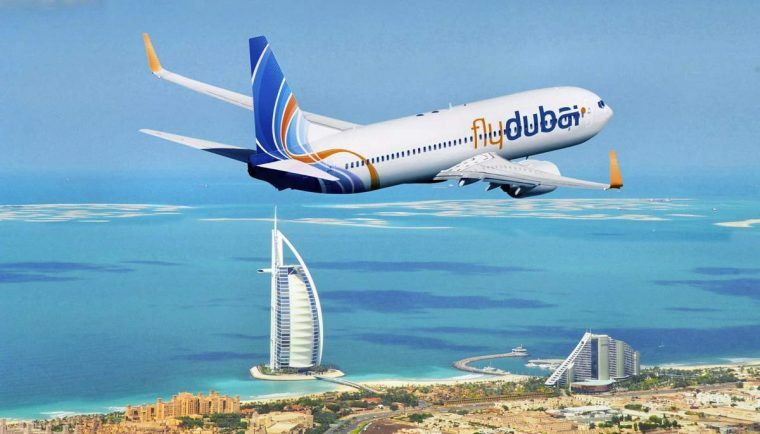 To us, the Dubai based airline, represents the pinnacle of ‘luxury in the skies’. 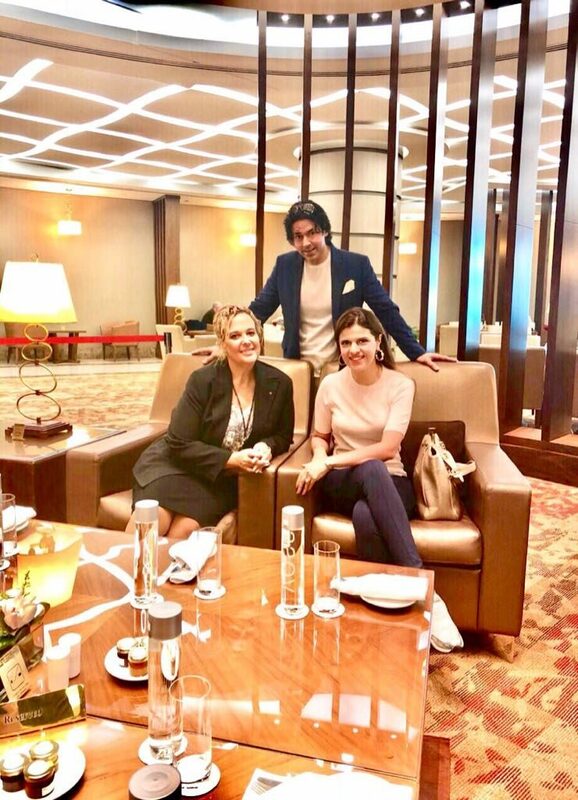 And we were lucky to have been given a taste of this celebration of sheer luxury at the First Class Lounge, where we were welcomed by the very lovely Anabela Lopes, who manages the lounge and is in charge of attending to VVIPs. She has assisted the likes of Britain’s Royals, Hollywood Stars, Emmy Award winning singers, politicians and other famous personalities. Anabela, spent time with us at breakfast and regaled us with fun and interesting anecdotes about her experiences with many a well known celebrity. Waiting on us at breakfast that day, was Nikhil, who was polite and attentive to our every need. His commitment to serve with a smile, well reflected the high standards of service at Emirates. We were also introduced to Damia, the catering supervisor, who provided us a detailed explanation about the wide choice of cuisines on offer to lounge guests and I must admit, we were more than impressed. A senior officer with emirates, Iype walked up to our table and said that we had an appointment for two persons at the spa at the first class lounge. How absolutely delightful. Later, Anabela and Iype, walked us around the very comfortable lounge, after which, Laveena and I were offered the privilege of boarding the A 380 aircraft to San Francisco, before the other passengers. Whether you travel on business or on leisure, flying is a key ingredient to complete your experience. While for many, the cost of an air-ticket is important, for others it maybe loyalty programmes, flight connections, familiarity with transit hubs, in-flight food choices, cabin comfort, on-board entertainment, overall service standards and even a choice of fine wines on offer in the premium cabins. From our many flying experiences, Laveena and I have our favourites. The Middle Eastern Airlines, especially Qatar and Emirates, remain several ‘travelmango’ notches above the others. 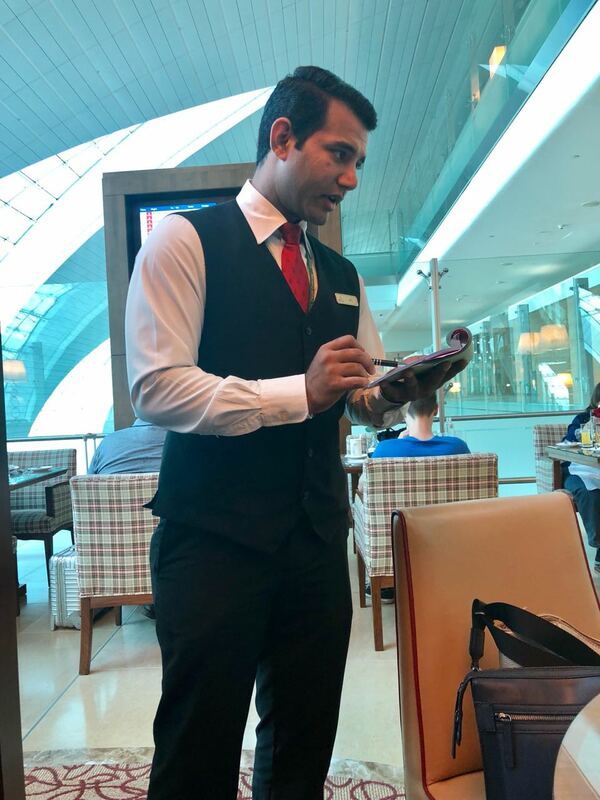 Yes, the length of our layovers on flights from Mumbai to Europe or to the US are not that great, but the lounge experience, particularly at Al-Hammad in Doha, more than makes up for the long ‘in-transit’ wait. 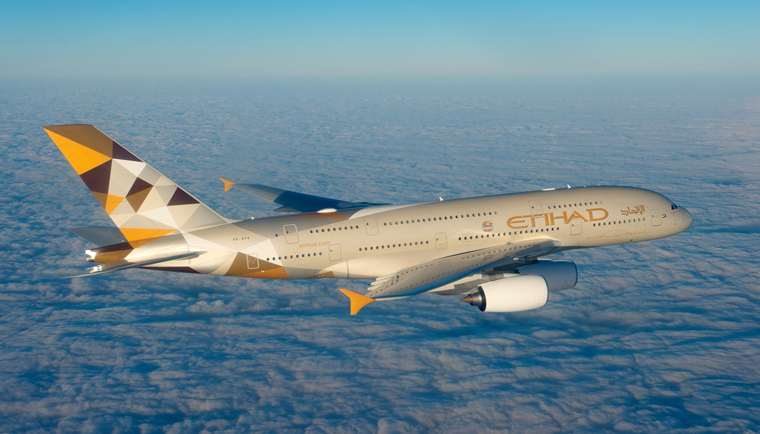 When one thinks of Etihad Airways, the National Airline of the United Arab Emirates,’ luxury, opulence and Nicole Kidman’, may come to mind. But not necessarily in that order. The advert showing Kidman indulging herself in the privacy of her ‘Residence’ aboard the A 380, makes one dream about being wealthy enough to one day afford the luxury of flying in ‘The Residence’. After an unpleasant experience we had last Easter, Jet Airways was struck off our list of preferred airlines and we chose instead to switch our loyalties to the ever dependent Indigo for domestic flights across India, Singapore, Cathay and Thai for flights to South East and Far East Asia and Middle Eastern airlines like Qatar and Emirates for flights to Europe and the US. 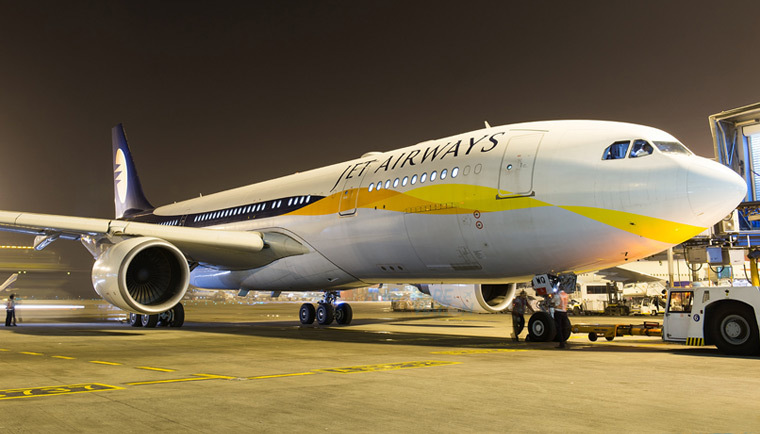 In response to my recent write up on Jet Airways, the unexpected happened. 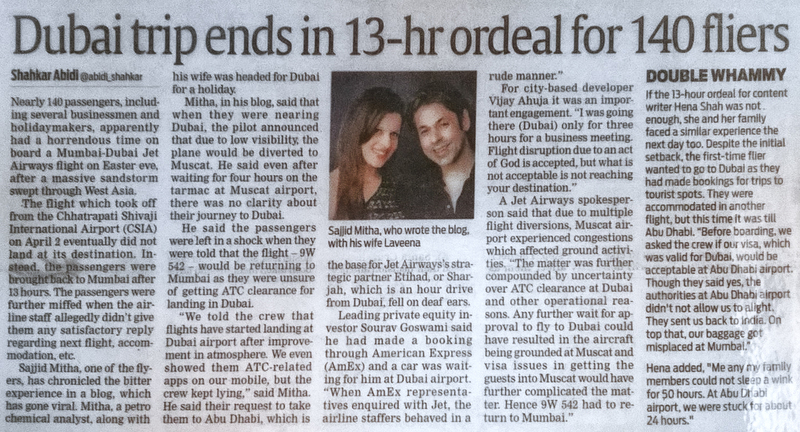 My blog received well over half a million views and counting, a leading city newspaper, the DNA, carried an article regarding our ordeal, a headline on India times read, ‘Jet Airways Ruined This Couple’s Vacation, His Response Will Make Them Wish They Weren’t Born!’, while the response from the airline was overwhelmingly positive.